A chilled out upmarket backpackers... not a party hostel but a good time fun hostel for all ages! With a number of accommodation options including 4 & 6 bed dorms, female only dorms and various private rooms, Flashpackers is one of the most popular accommodation options! It also features FREE WiFi and surfboard and bodyboard use! With free breakfast, WiFi/internet and body board /surfboards, Flashpackers Hostel Noosa is a great when it comes to accommodation in Noosa. The hostel has plenty of activities and themed nights throughout the week if you want to socialise, or just head back to your place of solitude. The hostel features plenty of comforts, including airconditioning so don't think you are missing great value! The themed nights throughout the week include a movie night, cheese & wine night (BYO wine), Friday night Aussie sausage sizzle, "All you can eat Pizza" night. It also has courtesy bus that runs from 8am until 6pm, FREE transfers & pick ups to Australia Zoo bus. One of the most popular accommodation houses in Noosa, book in advance! All guests are required to pay a key deposit of $20 each OR leave a Passport OR drivers licence. "Flashpackers Noosa is one of the nicest Hostels I've stayed at in Australia so far! Their staff is absolutely helpful and friendly. 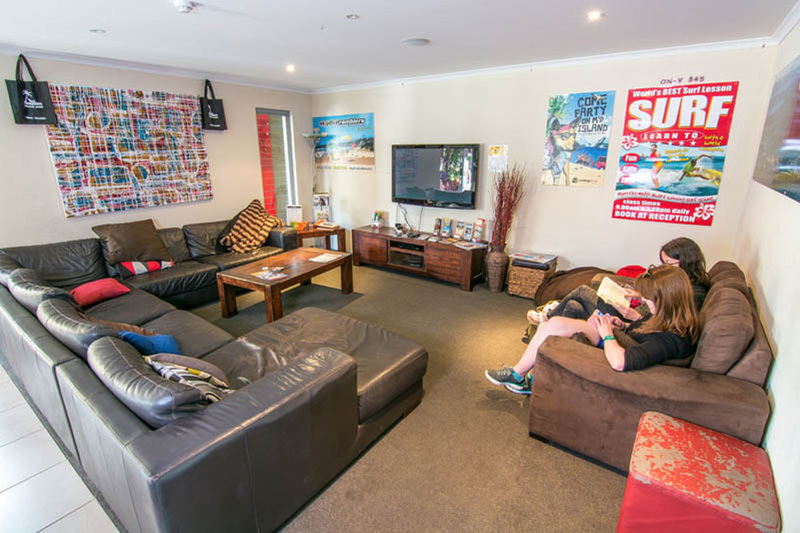 Their service is very good, there is a shuttle bus that goes the whole day and will pick you up from the bus station as well as get you to the shops and Noosa Main Beach, they'll help you with booking tours etc., there is a surf board and bike hire and the hostel is super clean and well equipped. It is more of a quiet hostel with a familiar vibe to it, which I really enjoyed. They offer nice social activities four nights a week, there is a TV room, Computer room and lots of card and board games available - as well as a chill and relaxed pool area. I very much enjoyed my stay and even though it might be a little dearer than other Hostels, it is well worth it and I can only recommend staying here!"